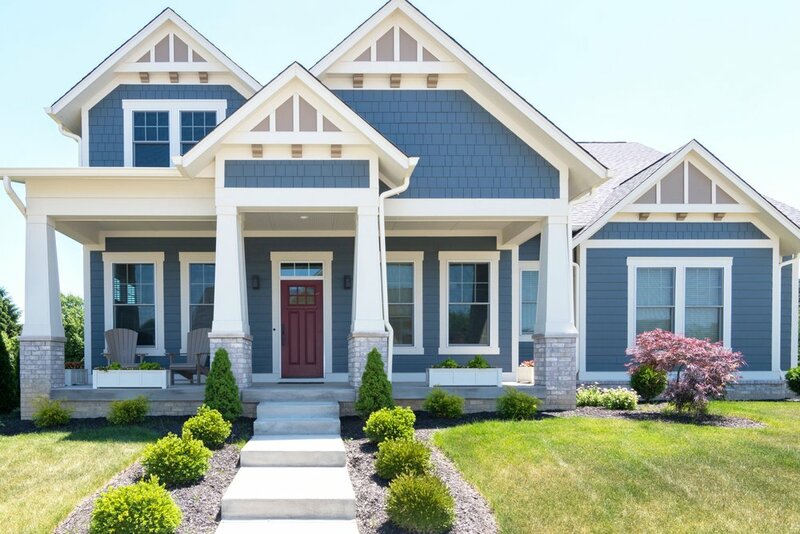 Getting ready to build a home in Carmel or Fishers? Consider these four aspects of the homebuilding process before building your home. Choosing to build a home in Carmel is an exciting time full of possibilities and wonder. However, it’s important to make a few decisions ahead of time so that you can avoid surprises in the end. Below is a list of four things to consider prior to building a home or speaking with a builder. The foundation of your new home is the lot. Not only do you want a beautiful lot that will fulfill all your backyard cook out fantasies, but a lot can hold many secrets just beneath the surface. Before purchasing a lot, make sure that you’re aware of what covenants, conditions and restrictions a lot might have. Covenants, Conditions and Restrictions or CC&R’s are the rules set forth in a neighborhood by the housing association. For out lots (homes that are not in a traditional neighborhood) you’ll need to know what type of utilities are available and even potentially complete a soil test to determine what type of septic system may be required based on soil composition. Finally, not all lots are created equal. Some lots allow for a walk-out while others provide only a daylight basement. In addition, you will want to determine if the lot will require any additional construction costs due to additional fill or water management. If you consider yourself to be an active individual, it may be important to live near the Monon Trail or perhaps an area with a lot of hiking. When deciding to build a new home, the inherently most important thing to consider is your budget. Is your budget strict or varied? Will you be paying cash or financing the project? If financing, will you have a one-time close (construction/perm) with an easy conversion to a permanent loan? Sometimes it’s easier to work backwards: What do you want your monthly payment to be? Then move forward from that point. A rule of thumb to keep in mind is that usually your lot will be anywhere from 20%-25% of your total budget. What architectural style is the exterior of your dream home? Many fall into one of seven major design styles; European, Cottage, Farmhouse, Modern Prairie, Coastal Craftsman, American Standard and Urban. Each of these styles is distinct with its own set of characteristics and variations. A. European – Low hipped rooflines, large roof overhangs, exterior comprised predominantly of masonry, use of stucco or plaster, warm earthy colors, arched windows and shutters, accents of tiles, wrought iron, symmetrical bay windows, corbels and columned entries. B. Cottage – Broad, bungalow, low gabled roofs, large front dormers, wide eaves with exposed rafters under, wood siding and brick or stone, large front porches, box windows with shutters, rear loading garage and arched entryways. C. Farmhouse – Two stories, simple vertical lines, gable roof, white lap siding, elaborate decorative columns with a large covered front porch, large kitchen, parlor or sitting room. D. Modern Prairie – Overhanging eaves, long and flat pitched roof, low central chimneys, gentle slopes/planes, deep porches, heavy column support, rows of small windows, boxy exterior, brick and clapboard siding and the use of symmetrical with asymmetrical elements. E. Coastal Craftsman - Front loading garage, overhanging beams and rafters, gabled and hipped roofs, decorative trim, deep porches, shallow, shed or hipped dormers, square or round columns with stone support, centered entries and balanced windows. F. American Standard - (Georgian, Saltbox, Colonial, Greek Revival, Foursquare) Gables, shutter windows or dormer windows, front porches, symmetrical facade, two stories with decorative roof over front door. G. Urban/Modern - Oversized windows, clean lines, flat or shed rooflines, the use of glass, mixture of exterior materials, asymmetrical facade. From a practicality stand point, it’s imperative to see how your day to day lifestyle will be incorporated into your new home. Perhaps you’re an aspiring pastry chef who needs a large kitchen. All the facets of your life should be thought about to determine what house is best suited for you. Does your family visit often? Then consider more guest bedrooms with an en suite in your plans. Is your family involved in sports/activities? Storage will be key in your new home. Are you planning on your family growing in the next few years? Plan ahead with extra bathrooms or bedrooms. Do you host holidays or game nights often? Consider adding an in home bar with space for entertaining. What works well with your current home? What isn’t working so well? At Old Town Design Group, we are happy to consult with you each step of the way. We can meet at your potential site and laser shoot grade to determine any opportunities and/or restrictions. We have several lenders with various loan programs tailored to your specific needs. Our in-house architecture team is eager to understand and incorporate your dreams, aesthetic style and lifestyle into your new custom home. with a complimentary new home consultation.